Providing medium hold with high shine, the American Crew Pomade is a modern, flexible alternative to styling gels that allows you to create classic, slicked back looks or simply take control of your style. 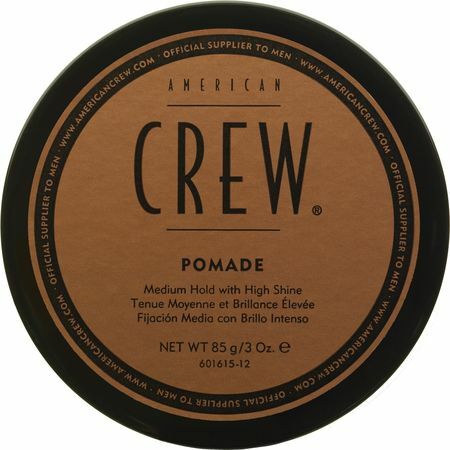 A versatile styling product, the American Crew Pomade is extremely effective for styling both curly and straight hair, providing hold and shine with a unique blend of extracts and oils. * Work a small amount of Pomade into your palms. * Apply to damp or dry hair and style as you wish.